Room temperature setting control and display. Maintains temperature protection against freezing. Options to select the heating regime, cooling regime and the regime to control the floor heating system (with the optional floor sensor). Voice communication in Croatian or English language. Measurement of external temperature (with the optional external temperature sensor). Ability to change user parameters. Uses an analog telephone line or ISDN line with analogue output. Light indicator of output status. Second channel (allowing only on/off switching). (heating or cooling), works on 2*AA (1.5V) batteries. – Connection to pump, boiler, spring motor actuator or two-point motor actuator. 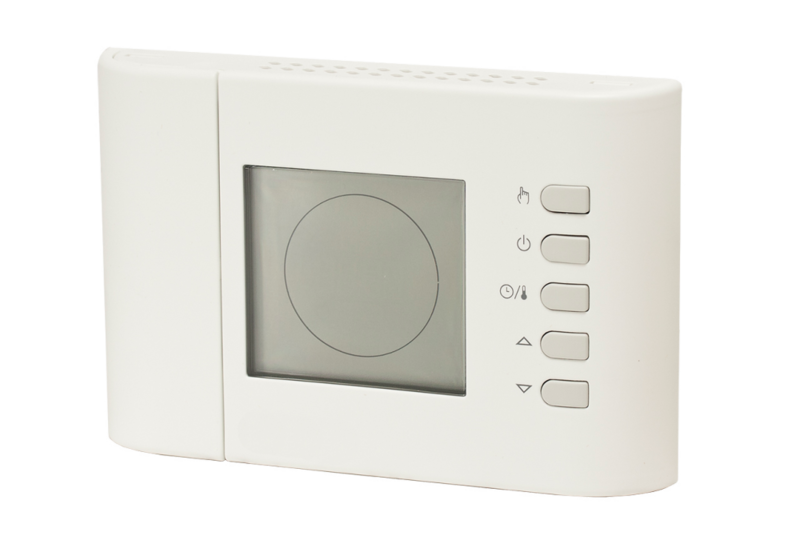 – The regulating temperature range is between 5°C and 40°C, 3 operating modes (comfort, energy saving or frost protection/off). – Can be set in holiday mode from 1 hour up to 99 days. – The display shows the measured temperature, the active mode and if the relay is activated. – Contact 5(1)A @ 250V AC. – Option of operating according to outdoor temperature sensor. – Option of remote control by a GSM device (additional equipment). 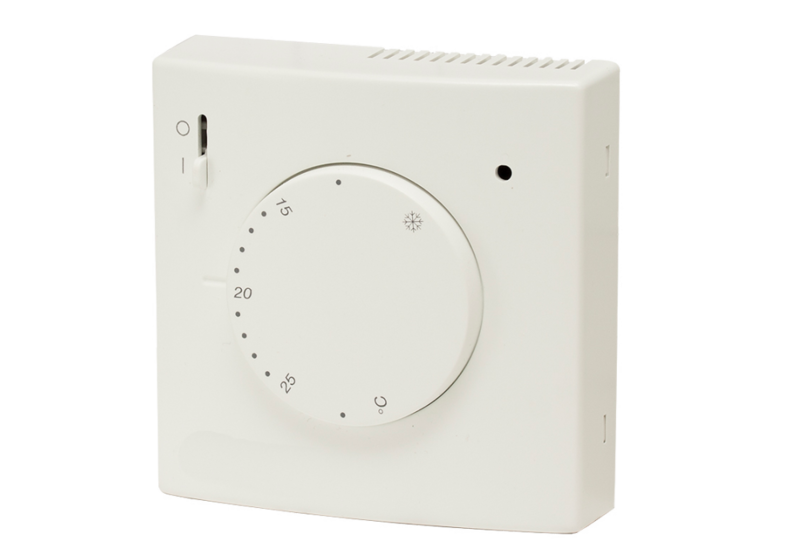 thermostat (heating or cooling); works on 2*AA (1.5V) batteries. 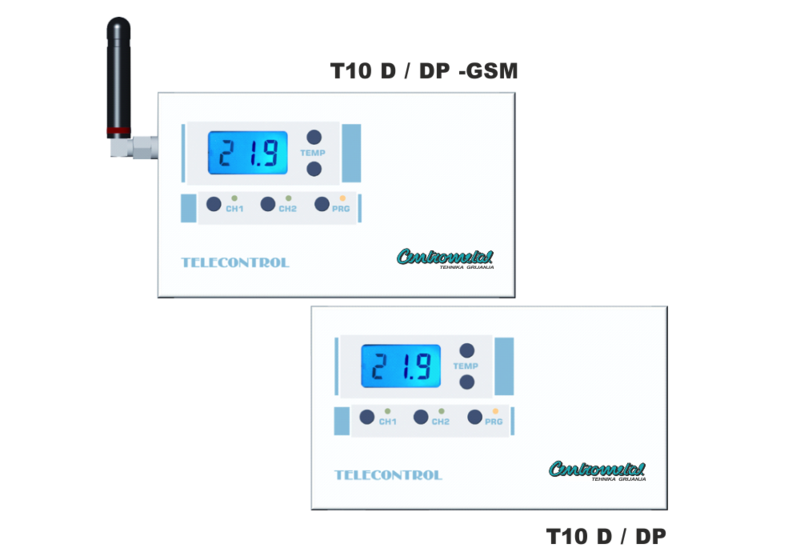 – Delivered are room thermostat and receiver TWR911, operating with230V AC. 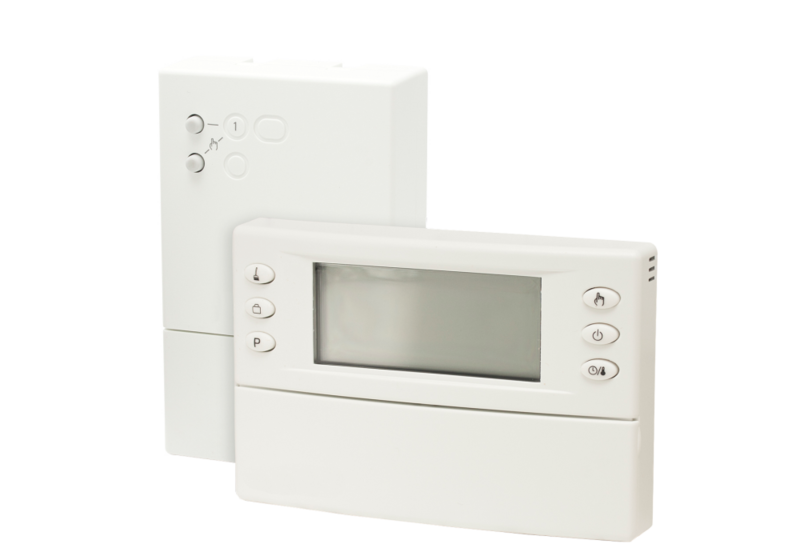 – The regulating temperature range is between 5°C and 35°C; 3 operating modes (comfort, energy saving or frost protection/off). – Can be set holiday mode from 1 hour up to 99 days. – Contact 6(1)A @ 250V AC. – Switch for temperature regulation: 8°C-30°C.